KIITEE Exam Pattern 2019 – As per the KIITEE 2019 exam pattern, The test will be conducted in the computer based mode for all the courses from April 15 to 24, 2019. Candidates who wish to appear for the examination must make sure to check the exam pattern of KIITEE 2019 in detail. As per the KIITEE exam pattern 2019, The examination will be conducted in the computer based mode. There will be negative marking incorporated for every incorrect answer. 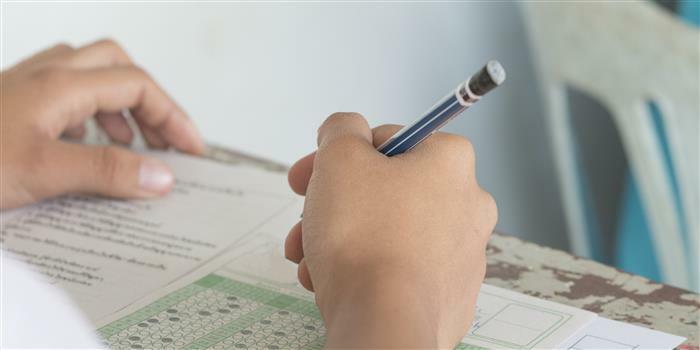 According to the marking scheme, 4 marks will be awarded for a correct answer while a deduction of 1 mark will be made for each incorrect answer. The questions asked will be multiple choice questions (MCQ’s), the medium of language will be English. Candidates can check here the exam pattern of KIITEE 2019 including the marking scheme, types of questions ans total marks and total number of questions as per the different sections of each course. The article also states the procedure of examinations and the points to remember while appearing for the examination. The KIITEE 2019 will be held in the following manner. Candidates can check the procedure here to familiarize themselves with the examination. After being directed towards the computer the candidates will be provided with a worksheet to do the rough work and calculations. The candidates need to log in using the password mentioned in the Admit Card of KIITEE 2019. After the test starts the screen will be refreshed showing the questions to be answered as per the different sections. go back to the test or (2) to complete the test. Before completing the test candidates can also review the answers given. Each Section of the questions will show 4 options from which candidates need to choose the correct answer. Candidates can go to any question by clicking the question number which will be shown towards the end of the screen. The answers question will be marked in ‘Green’ while the unanswered of Skipped questions will be marked ‘Blue’. If the candidate has a doubt about any question it can be marked for reviewing using the ‘Mark for Review’ option. Each question will carry 4 marks. For each incorrect answer, 1 mark will be deducted. Candidates can also switch between section halfway through. The examination will stop after the completion of 180 minutes. Candidates are not permitted to carry along with them any electronic devices such as mobile phones, electronic calculators, pagers, log tables or any printed materials or notes.